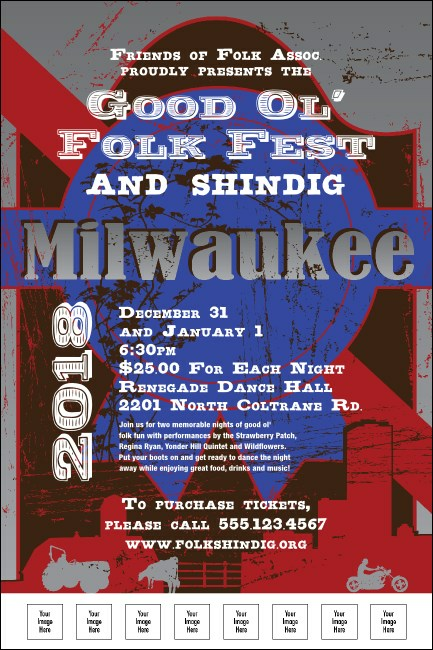 Summer concerts, autumn Oktoberfest, winter holiday parties, and spring picnics, all year long, the colorful Milwaukee Poster is perfect for any local occasion! Featuring a blue ribbon, farm, city, and motorcycle motifs, it signals good times to come, with room for five custom image uploads. Stroll through TicketPrinting.com's design gallery for matching Event Kits.